Now is the perfect time to get healthy, lose weight, gain self confidence, lean and tone, learn self defense and have fun all at the same time! Superwoman Fitness Boot Camp classes at C3 Athletics are designed to burn 800 to 1000 calories in a little less than an hour. Our instructors all have real ring experience with strong backgrounds in fitness. Whether its Boxing or Muay Thai, there is never the fear of getting hit, as each participant has their own heavy bag to work on, eliminating the need for partner drills or physical contact. Click here to start your FREE 30-day trial. 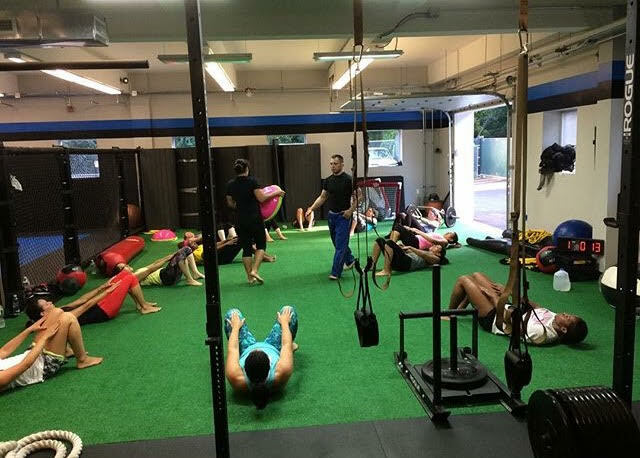 The fitness program at C3 Athletics is an excellent combination of cardio, plyometric and body weight and weighted exercises. PLUS, you get to kick, punch, elbow and knee! With some of the top fighters and coaches in the region you also learn techniques derived from three of the disciplines we offer; Muay Thai, boxing and Mixed Martial Arts. Our kickboxing and boxing bag classes are ran by experienced fighters that all have one common interest; getting you fit. Using many of the drills they do in their own training, the instructors put you through rigorous workouts that not only test you physically, but mentally as well. Some develop signature workouts that become the staple of their class and others like to switch things up regularly. Everyday is different and every trainer is different so you’ll never get the same two workouts in a week, which is exactly what you want when trying to burn off fat, build lean muscle and get stronger. Either way, the trainers are always trying to push the limits by challenging you in their classes. Our instructors are attentive and helpful, and will make you feel right at home from your first day. Classes are go at your own pace, so it is a strenuous work out for everyone, from the first timer to the seasoned professional. We love it, and we know you will love it. That is why we are offering a NO OBLIGATION, 30-DAY FREE TRIAL, to make sure that you fully get to try and experience what you will gain from our kickboxing classes, our experienced staff is here to help you achieve your goals. The only thing you have to lose is those extra pounds!